Star-Tec’s offers quality, affordable portable barn options for every budget. Choose from either our popular lofted barn or our side lofted barn style. When you purchase Star-Tec, you are purchasing quality. The lofted barn is our most popular barn style, featuring a large double wooden door in the front and two interior lofts. 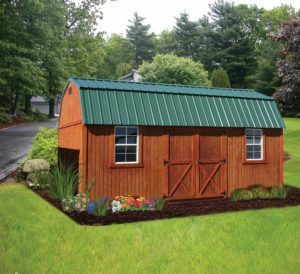 Ideal for anyone needing a basic storage shed or workshop for their backyard. 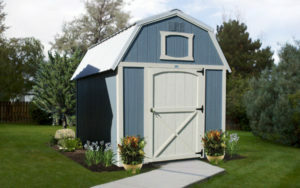 Another common storage building similar to the lofted barn, but features the double wooden door on one sidewall with two 2’x3′ windows placed on either side of the door. Add workbenches or shelving for the perfect backyard workshop.